It was an ambitious endeavor… to go night fishing on a river I did not know with my three year old son. However, I was confident I would be successful. I did all the research, bought all the gear, and found the perfect spot. My son and I would bring back plenty of meat. I can tell you that the learning process was a steep curve. 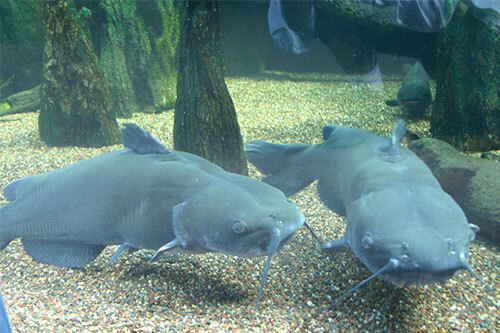 I have caught catfish all my life, but never like this. I needed to be schooled in the most basic sense of the word. Thankfully I found some good teachers. Believe it or not, I learned to fish for channel cats at my local Bass Pro Shop. I know that most of these stores are like shopping at Walmart, but I found the guidance I needed. It restored my faith in the brand, and I have stayed at two of their resorts since the experience. 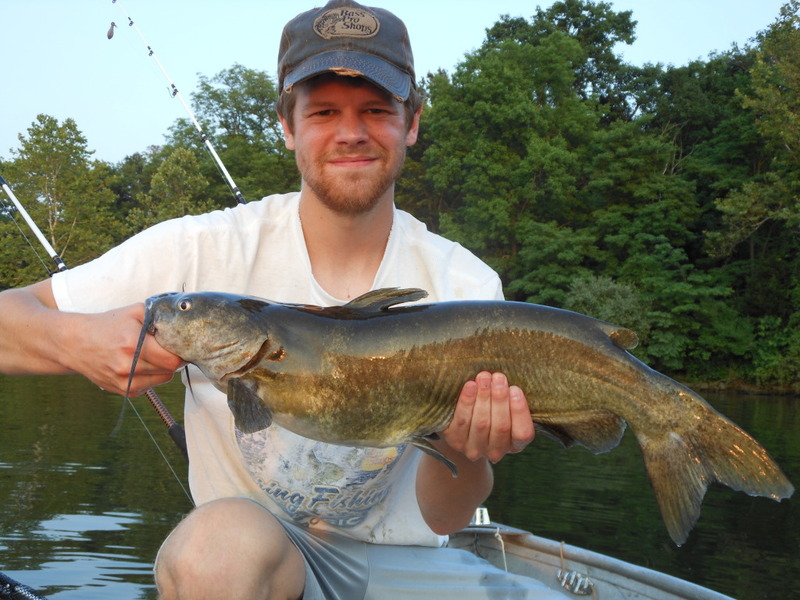 In this article, I will pass on the tricks that I have learned that will help you catch that monster catfish you have always wanted. Finding channel cats can be tough. They are old, smart, and elusive. However, they always have their favorite spots. 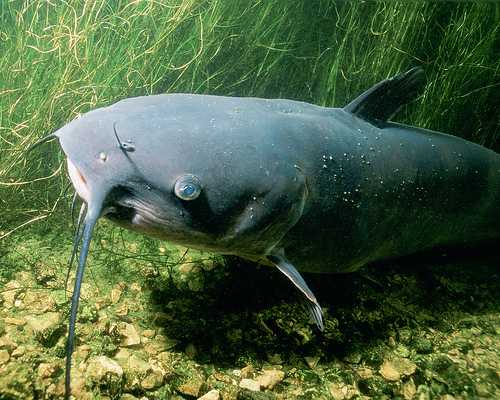 Channel catfish are notorious for hanging out where feeder creeks spill into a river. These spots are ideal for targeting the fish. They love muddy water and stay in the depths for the most part. You will need to find a muddy spot where they will lie in deep pools. Scouting is the key. You never want to find these spots on accident. Take the time to find a good location well before you ever plan to night fish. This will ensure that you will not be wasting your time. This may seem obvious. The article is about night fishing. However, there are peak times when fish are most likely to bite. You want your line in the water at least an hour before dark. The hour before dark and the hour after dark are the best times for action. In addition, the same thing applies to the sunrise. The hour before and the hour after sunrise are the best times for strikes. The best way to fish these times is to camp out overnight. Put up a tent, start a fire, and drop your line about an hour before dark. Stay close to check the line every few hours. You want to have a good flashlight to see if you have any action. Plan to stay up all night and haul in your catch periodically. The key to night fishing for channel catfish is to have multiple lines at the bottom of the river. The best way to do this is to use tree branches as poles. Cut off several branches six to eight feet long. Next, attach line to the end at 20 to 30 feet in length. Tie a large hook to the end based on the size of fish you desire to catch. 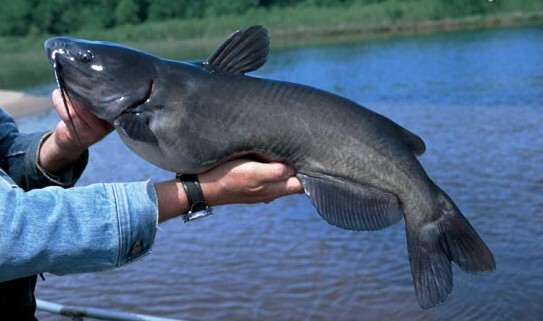 Channel catfish can get to be very large, so you may want to pick a large hook. I typically use one that is about an inch from the barb to the shaft. You also want a strong line. In most cases 20 to 30 pound test line is ideal. The sinkers need to be heavy and flat. There are sinkers you can buy that are tear-drop shaped and tie well to allow the sinker to drag against the floor smoothly. Next, you have to add the bait to the hook. In the states allowed, the best bait for channel catfish is live goldfish. You can buy a bag of small goldfish at the local pet store and keep them alive all night. You want to hook the fish just behind the side fins so that it stays alive and is still able to swim. Next you want to throw out the line as far as possible. Swing the line clockwise as fast as you can. You need to gain momentum with centrifugal force. As you get a feel for the line, release it and throw the line as far as possible. Let it fly as far as you can, and then wrap any slack around the rod. When you see your branch pole bending, it is time to bring in your fish. You are now hand-lining, so be careful how you reel in the line. If you let it slip through your fingers, you can slice open your hands pretty badly. The best option is to use gloves for this part. As you bring in the fish, you will likely be above it because of the slope of the shore. Do not try to bring it in on the line. The best option is to drop to the water level and use a net to bring it in. Hauling a fish of that size from the water can easily break the line at the hook. When you have your catch, the night of insomnia will be worth it. It is easy to haul in several dozen pounds of meat in one night if you do it right. It can be an incredible experience when you are successful. The unique part of this experience is the pitch black of night. The excitement builds as you reel in your fish not knowing how big it will be. When you feel its slimy skin on your hands, you know the fight was worth it. I hope you have the opportunity to try this for yourself.